The Range folio was designed by Ronnie Wood to demonstrate to his collectors the broad range for both his artistic styles and broad subject matter. In the case of Hendirx it does both fantastically. As it shows his intimate relationship with the fellow Rock Stars he paints. And in the case of Hendrix this is no small point, having been a close friend and even housemate. 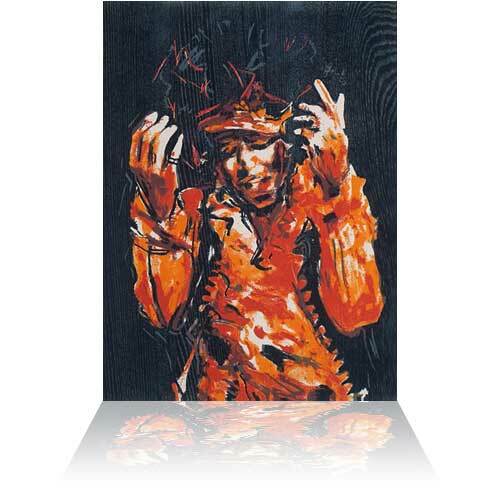 It also demonstrates Ronnie Wood's love for traditional printmaking, as the original is printed from a woodblock. A technique only for the truly devoted artist.